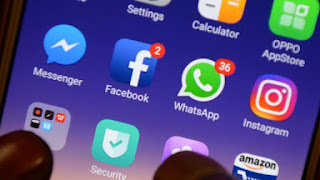 Social networking sites Facebook, Instagram and WhatsApp have been hit by a global outage with users around the world unable to access social network sites and apps. With the popular social networking sites down, people took to Twitter to find out what caused the outage with some expressing their frustration. Reports indicate that the outage hit the sites concurrently with thousands of social media users are reporting problems with Facebook, Instagram and Whatsapp. The cause of the outage which began shortly after 1 PM EAT on Sunday and is yet to revealed. By the time of this publication, operations were slowly returning to normal with the sites responding. Users complained that sites failed to load on desktop or mobile devices, while others are reporting that their timelines failed to refresh.